O.k. so you have shown up! You are thinking good thoughts and learning to take responsibility for your energy. 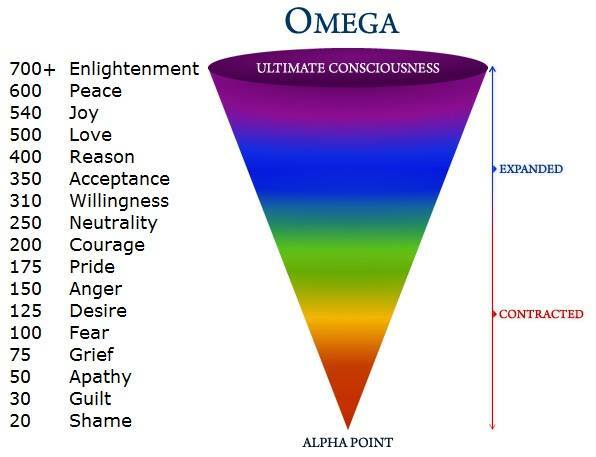 As shown in part one of this conscious creation series. There are quite possibly as many spiritual pathways as there are people. It is not my intention here to go into each and every one. But rather to get you thinking about what they have in common. As Spiritual people it is more common than not to believe in an abundant universe, and loving God or Gods. But if we believe this then why are they not more apparent? The answers are pretty harsh. I’m not going to ask you to believe what I say out right. I have provided some creditable links, and I trust you to be able to search on your own. All I ask is that for this piece you keep an open mind. If something makes your stomach tighten, take notice! I am also going to ask that you find some time to sit with spirit, be open, and expect some answers. ​I write this with an energetic intention, and have asked source to guide my hand. For this section I am going to call the Deities Source. Source is energy, we are energy, the world is made up of energy, in particular light and or electrical energy, that as it becomes more dense…takes on mass. We have arrived on this earth to experience life as spiritual beings, living emotional lives, in a physical body in a physical world. Yet why is life so daunting and so hard for so many…that not only have many forgotten there purpose in being here but they can no longer feel the Joy of their physical experience? The answer is simple…We create our experiences. We create them with our thoughts and more importantly we create them with our feelings, our emotions, and those thoughts are coming from Sad and Tough environments. Even whilst within the womb, we were picking up the emotions of our Mothers (remember every thought has an emotional charge). We carry the emotions of past generations within our genes (epi-genetics). As soon as we are born we are amazing body language readers. We pick up on all around us, and if we were lucky enough to be born empaths then wow…we really pick up on peoples stuff on so many levels. We start to feel things that are not even ours. Every time Mum and Dad fought…Every time one of them cried over a bill..or sold something to make ends meet, we took it in. It became part of our brain schemata, the way our neurons connected and developed. Living within family environment may also of taught us other things like…you have to work hard for the money…or ghosts don’t exist…or we give of our time and energy for free, because that’s the godly thing to do. “Your gifts are a gift from God, you can’t charge for those”, even though you may of paid out quite a bit on courses (I personally will never be without a Mentor again) and yet a Doctor who also has a gift is allowed to make money, and lots of it! We also buy into beliefs around magic…it can only be done this way or that…at certain times in certain ways…or…though shalt not suffer a witch to live! A lot of the myths we surround ourselves are from the Mother Church. Money and Power; you can’t control powerful people, so here lets Call these ones heretics and kill em off, and take their land. And those ones are healing…we want the money for that..etc. But regardless of where this stinking thinking came from…One thing is for sure, it has wiped the Joy off the face of Millions for many generations, who each in turn has affected the next generation…And then came the media. Unless we as Spiritual people get it together and start formulating and Consciously Creating in Numbers…Well who knows? We are supposed to live Joyful and Abundant lives. http://www.juhl-lightheart.co.nz and sign up for the Light Heart ecourse. There is a way for you to have a life filled with Abundance and Joy. There is a way for YOU to make an effective difference within the world. No more powerlessness and waiting for Higher Power to work things out FOR you. The truth is, Higher Power works THROUGH you. Practice and Pathways…we are all searching for our spiritual truths. This is all about the techniques different paths use to experience life more fully. More though, this is a call to action. USE those skills! Intention. Working out exactly what you want. How to ask for it. Resistance and Release. You’ve stepped into the flow…Things are going to show up. This is about clearing that which doesn’t serve you. Finding techniques that help you release the past and conditioned thought patterns. Every time your stomach tightens…take note. That is resistance. Intuition. A word for listening to and recognizing the call of spirit. Whatever your path your higher power wants to be in touch with YOU. Trust. Once you’ve stepped out, shown up, it’s time to ease up. So with this come a few tips and techniques on how to let go and let be, allowing your “Higher Power” to work align with your energy. Who would you rather see in control of World Resources. Rigid Policy Makers or Heart Centered Healers? There is so much information out there. Especially on “Consciously Creating” the “Magic of Manifestation” and “Manifest Abundance”. Just like a light switch, You control energy. Do you want that control to be CONSCIOUS, or unconscious, remember, energy is flowing around and through you anyway. Thoughts have an effect, words have an effect…yet it is our FEELINGS that induce the largest electrical charges within our brain. When you start to control your thoughts…and the feelings behind them, you have a measurable effect on the world. This is “Conscious Creation”…it is the tool of “Magical Manifestation” and the way of “Manifesting Abundance. Over the next Six weeks I’m looking closely at what is meant by “Conscious Creation”. In particular how you can put this to work, for YOU incorporating your spiritual path. What ever your spiritual path…Unless you are feeling safe and supported within your practice, there is very little chance your Intentions will work. This is about more than thinking, this is about KNOWING you are safe, and that your energy is under your control. Every day we come up against people, all people affect others in varying ways. You may have noticed around some friends you feel alive and vibrant. Whilst around others you feel drained and washed out. It all depends on the electrical levels of their energy and yours. The reasons for this are simple. The person with the most stable energy wins! Case 1. You are Happy, you meet Mr Unhappy. You have had a lot of practice at maintaining happy thoughts. Mr Unhappy has not had a lot of practice at being a sad sack. His Vibration will raise to yours. Case 2. You are Happy, you meet Mr Unhappy. Mr Unhappy has had a lot of practice at being a sad sack. You have not had much practice at maintaining your happy space. Your vibration will drop to match Mr Unhappy. Case 3. You are well practiced at Happy, Mr Unhappy is well practiced at unhappy. More than likely, you are not going to be able to stay in the same room together for too long. These are the people you meet who irritate you with their chirpiness…or gloominess. Your are both so stable within your emotional shell, that neither energy gives way to the other. 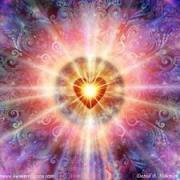 In order to bring about magical changes, we need to maintain our energy levels at least at 500, that of love. This is not as common as people think. A psychic attack is when somebody sets out to deliberately cause you harm. A more common cause of attack, that does affect your energy levels, is that of thought forms. The closer someone is to you (proximity) the more their thought forms will affect yours. A mother who’s teenagers are continually sounding angry messages, will not only affect the mother but the vibration will collect in the space. A friend or work mate who is jealous of you, may talk behind your back, collecting thoughts of ill will, or direct negative thoughts towards you. These collected negative vibrations towards you will result in a wearing down of your energy levels. These will often happen and become more directed as you evolve spiritually, and others seek to “keep you in your place”. Arguably the most potent form of Attack, comes from within…our thoughts can become negative, we can lose our confidence, get caught up in the past, or second guess our decisions. A true Psychic Attack, is when someone deliberately seeks the services of another (be it Witch or God) and intentionally directs thoughts of ill will so as to harm the recipient. Luckily effect is diminished through distance…Yet left unanswered, these intentions will have an effect. People criticize whatever you are up too. People smile to your face but their body language or your intuition, tells a different story. You become drained and tired. Bad dreams awaken you from sleep. You have made someone with knowledge of the occult angry. Which ever Path you follow, my STRONG RECOMMENDATION, is that you forget about residing in a bubble of white light as being a single and adequate protection, for this magical and energetic work. The bubble of White Light when used on its own, is kind of like hiding under a rock. The strongest form of protection is internal, and arrives over time as your knowledge and strength of self become more apparent. This is when you “know” you are protected, and the level of detachment gained is such that others cannot penetrate your barriers. I am going to suggest you work with three forms of shielding. You can develop these in ways that fit your paths practices. Ask Christ to erect a barrier between themselves and____so that they may deal with this person, in love and with compassion, but not be drawn into their drama, or affected by their Will, but only Gods Will. It is helpful to sit with self, and ask, from which direction any forms of negativity are arising. This will aid in your defense as you will know where or between whom you need to place additional external barriers. 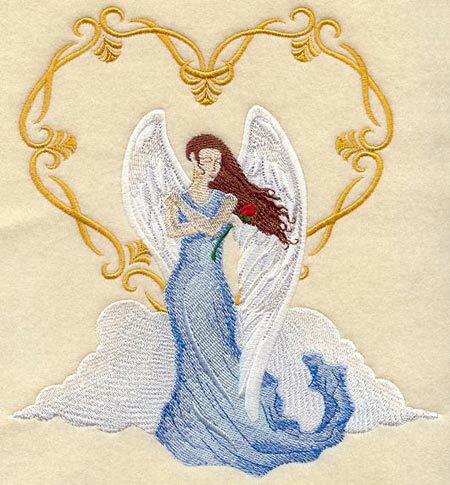 Archangel Michael is the recognized Angel of protection (though it is important to acknowledge that each of us is born with our Angel of guidance). 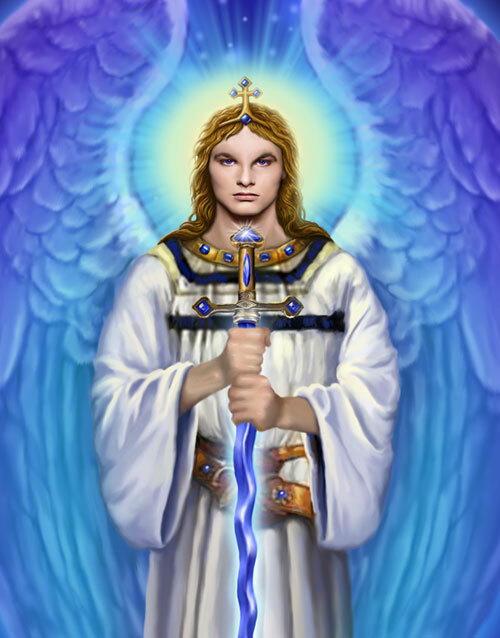 You can call on Archangel Michael to use his sword to sever any negative forms that may have their hooks in you. Doreen Virtue has some wonderful meditations on YouTube with this purpose in mind. Michael, will even, if asked create a protective bubble around you. Yet as mentioned previously, you must have internal protection and a shield wall between yourself and the negativity. There are several ways of constructing internal protection for Light workers. One of which is meditating to activate your contact with source. This involves connecting with your heart chakra, sending energy down through your chakra, through the earth, to the earths core, and drawing this energy back up and to your heart. You then envision the light of source descending through your crown chakra, third eye and throat chakra, to rest in your heart. Then you open your heart chakra further still, allow both energies to mingle and pour through and out of you as rainbow colored light. 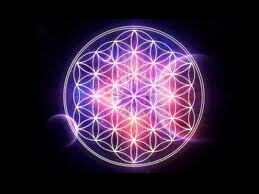 Once your body and aura are saturated with this light, you then draw and hold the energy, back, to self. You then ask an Angel to “watch your back” so to speak. 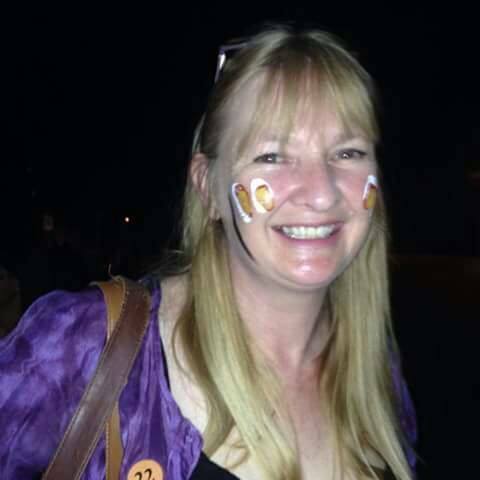 So please check out Doreen on this subject, she has some great meditations on YouTube. I have also included a link to a meditation I enjoyed and felt was helpful. 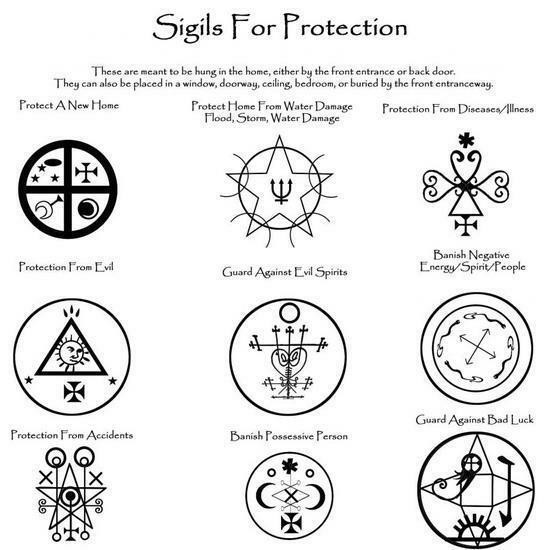 Be you Solitary Witch or Wicca, your creed or craft type is going to decide your protection. Once again I stress the three forms of protection. 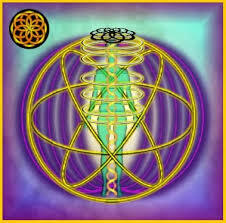 So Internal, God or Goddess invocation, or sacred flame (though to be sure the sacred flame may be used across beliefs). Perhaps salt rings for outer protection around your dwelling, as well as the White Light bubble. And I would certainly set a mirror wall between you and the direction of any negative influence. Also let us not forget the power of Amulets and spells. The essence of what I am suggesting here is: As you begin to become aware of how your thoughts and feelings are creating your reality, you are going to notice the effects of other people upon your thoughts and feelings. You are going to want to stop others from having influence. You are going to want to maintain your own high vibration. In order to do this, you will need to create protection or remove certain influences from your sphere, until such time as you can deal with them, whereby they no longer affect you in the same way. Decide upon the protection methods you would use, according to what you know and how you feel. If you need any additional help email me juhl@juhl-lightheart.co.nz. Or consider one of my life changing Destinee Courses. Buzz Words, Of the 21st Century. As Spiritual people it can be incredibly hard to think of ourselves as “Money Makers”. When we see these words the tendency can be to think of “Get Rich Quick” schemes. Or worse still…Money is not Spiritual. We’d love to change the world. Yet how can we when the very tool that makes this possible, is the tool we abhor. IF YOU ARE ALREADY FEELING UNCOMFORTABLE! I AM ABOUT TO CHALLENGE NOTIONS OF REALITY. We need to change…Who would you rather see in control of World Resources. Rigid Policy Makers or Heart Centered Healers? Especially on “Consciously Creating” the “Magic of Manifestation” and “Manifest Abundance” a lot of the time the literature hits you with a hard sell. The thing is..science has now acknowledged that all of life IS connected…through energy. But what does it all mean for YOU? It means that YOU are part of and responsible for, something huge! Just as when you flick on a light switch; the current flows and the light goes on…So too YOUR energy. This energy is flowing regardless of your belief system. It simply is. Which means, just like the switch, You control the energy. Over the next Six weeks I’m going to look closely at what is meant by “Conscious Creation”. In particular how you can put this to work, for YOU incorporating you spiritual path. There comes a point in transformation or transcendence, whereby you just want to grab every body by the shoulders and scream WAKE UP!!! Precisely where I am at at the moment. I have worked and crafted through Christianity, Witchcraft, Hermetics, Buddhism for over 30 years….any path I could find, not only in the search of truth and freedom…Hey, and thought I’d throw world peace, and that cleaner greener earth, into the mix whilst I was at it. I was observing around me, the opposite of that which I desired. As I was sitting in meditation focusing on OM (get over it! contemplating the navel is essential to spiritual growth). There is a reason things aren’t quite working out towards spiritual and political freedom….People are focused on lack. I don’t have money. I don’t have health…wow we have created industries to support these beliefs. I have this vision of a world focused on what we have…we have a beautiful earth, we have wonderful people around us, we have LOVE, we have ideas, goals and dreams…we have breath. I have this vision of a world ‘acting’ towards those goals…each individual an expression of the whole. There are a whole lot of skills and techniques that can be used to get people into the zone where by this Magic happens. A lot of them have been developed by Conscious Creators, the drive seems to be for monetary abundance…Yet these same principles work for every thing. And I think that this is what is missing with spiritual practice, we cut ourselves off from anything related to money. Which means we have cut ourselves off from these wonderful energetic magical practices…because, we have ALLOWED others to manipulate OUR beliefs around these trans-formative practices…After all you can’t have a world full of enlightened people…who would work in the bomb factories…who would drill for that oil? But… this does not stop these practices working, or better yet…working towards the results that you would like to achieve…Be it LOVE, HEALTH, or FREEDOM. We have a fundamental belief that those old Healers, Monks and Shaman…worked for free…This is wrong! Gut Feeling! When Intuition Goes Wrong! Emotional Releases; Practical Advice on How and Why.